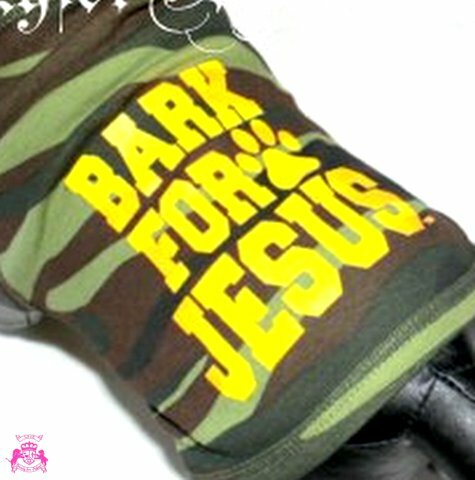 Bark for Jesus TM Dog Tank Sizes can run small. 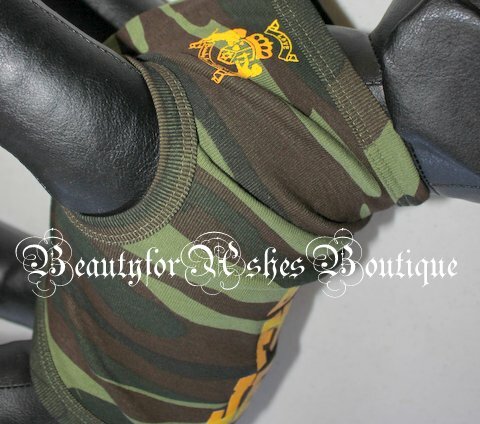 This adorable dog tank features 100% Cotton army camoflauge green with bright yellow print and#39;Bark for Jesusand#39; TM by Beauty for Ashes. Our logo is printed near the front collar on the left as shown in the photo. Please check our other listing as it also comes in camoflauge pink with black print in our store. 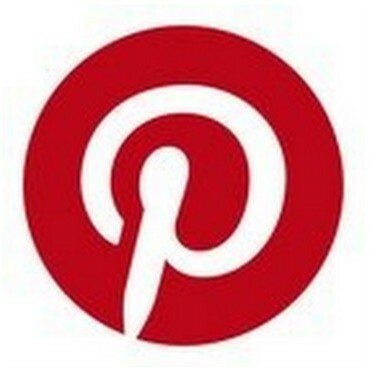 Size of print may vary slightly depending on the size ordered.